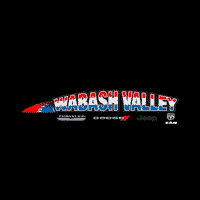 Hurry into Wabsah Valley Chrysler, LLC to enjoy RAM Power Days near Kokomo, Indiana. This is the perfect opportunity to drive home a new 2018 Ram 1500, Ram 2500, or 2019 Ram 1500 for thousands off MSRP. With just a few days left in the month, you are encouraged to contact us today or come by the dealership. You will love your new Ram truck! Stop by today in Wabash near Kokomo, Marion, Ft, Wayne, and Peru, IN.